At least now the preliminaries are over. 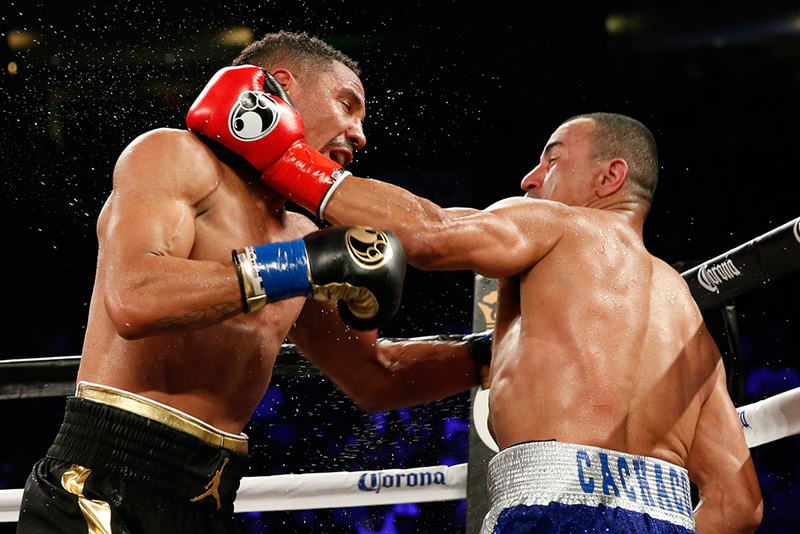 As Andre Ward said after his victory over Alexander Brand, as he stood next to light-heavyweight champion Sergey Kovalev, “I had to get past this step. He got past his step.” And now, after Ward followed up Kovalev’s July 11 win over Isaac Chilemba with an easy defeat of Brand in Oakland on Saturday night, the path is clear for Ward and Kovalev to clash on November 19. Chilemba put up somewhat more resistance than expected in Russia last month, despite being knocked down and losing anywhere between eight and ten rounds. Brand, too, on one level exceeded expectations, inasmuch as he not only avoided an early stoppage but in fact made it all the way to the final bell; but Chilemba at least is a top ten light-heavyweight. Brand, frankly, is not; his lack of quality was glaring, and although Ward dominated and certainly made his hometown Oracle Arena crowd happy with his determination to bring the contest to an early close, he’ll surely be deeply disappointed with himself that he was unable to do so. Ward, 30-0 (15 KOs), was always in control and never troubled by what Brand threw at him. How could he be? While the Californian is, at his best, one of the sport’s prime exponents, Brand was raw, slow and wild, winging punches in his opponent’s direction but without any of the finesse or skill needed to land much of anything. At times, Ward looked contemptuous of Brand deigning to think he could land a punch or two, shaking his head as he stepped out of the way of the Colombian’s lunges. But to his immense credit, Brand, although hopelessly outclassed, never once stopped trying. Nor did he ever even contemplate folding his tent or taking the easy way out, despite the fact that Ward, especially after the early rounds, stepped toward him and landed repeated flush punches on his jaw. 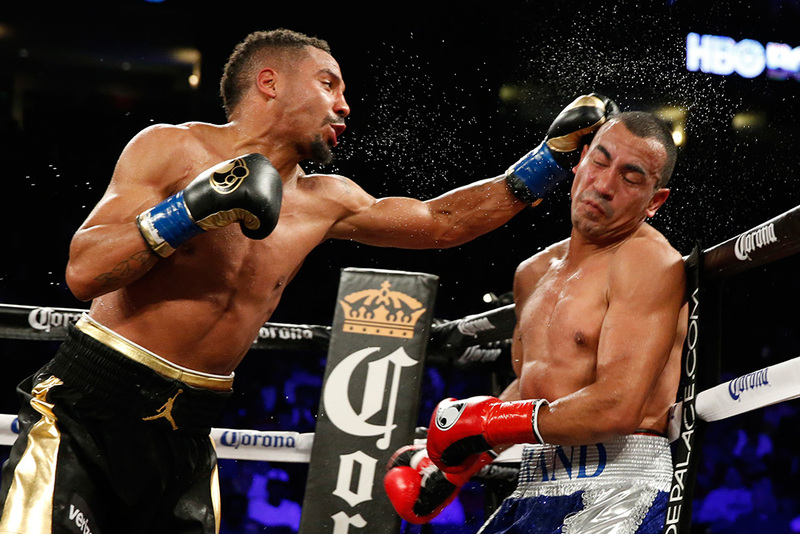 After taking a few rounds to measure up Brand, 25-2 (19 KOs), Ward began to crank up the pressure in the fifth. He landed a hard left hook at the start of that round, then followed with a right. He turned southpaw halfway through that frame, and once he did so, he found success with powerful straight left hands. He switched back to orthodox in the seventh and landed left/right combinations. A big right hand in the eighth swiveled Brand ninety degrees. But the only time Brand hit the floor was when he swung wildly with a left in the ninth, missed and fell over. Ward kept trying to finish him off, but Brand, his right eye cut and swollen, stubbornly clung on to the bell.